The gaping chasm between what the UK imports and what it exports yawns ever wider with a deficit of £3.4bn for goods and services in February. The Office for National Statistics bears yet more ill tidings today. It seems that Britain is not quite the star on the global trading stage we thought it was: the trade deficit on goods and services has ballooned in February to £3.4bn, up from £2.5bn in January. Breaking down the data, the problem clearly lies in the ‘goods’ rather than the ‘services’ camp. The deficit on the former was £8.8bn in February up from £7.9m a month before, the highest trade deficit since September. 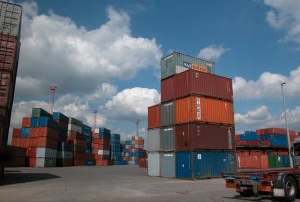 Key to the deterioration was a 3.4% drop in goods exports, from January’s £25.7bn to £24.8bn. On the flip side, trade in services is actually in surplus: estimated as £5.4bn in February. And exports of services are up 0.6% overall. So, the service sector has made some inroads into a recovery, which is positive. Well, ‘good but not right,’ as Roy Walker would say. Ultimately the problem is this: The UK is exporting 2% fewer goods and services, while imports are up 1%. And these tiny percentages represent hundreds of millions of pounds. But, as usual, the ONS seems to present the worst case scenario. Looking at the recent PMI survey data, there is a modest uplift in exports in March, showing that the nation’s exporters are actually getting their act together. Weak sales to euro zone countries have been offset by stronger demand in other countries, primarily the US and Asia. The Prime Minister has been proactive in courting these far-flung nations over the past few weeks. A smart move, given that the eurozone is likely to remain volatile for the foreseeable. At the moment, the bloc accounts for around half of UK export trade – unless Cameron and his band of merry men can squash that percentage with a few more orders from Indonesia, Japan and the like, the UK is going to be in a spot of bother.